Commentary on things related to astronomy, astrophysics, astrophotography, equipment, design, processing techinques, people, places, events, etc. and other such things that may not fit well elsewhere. 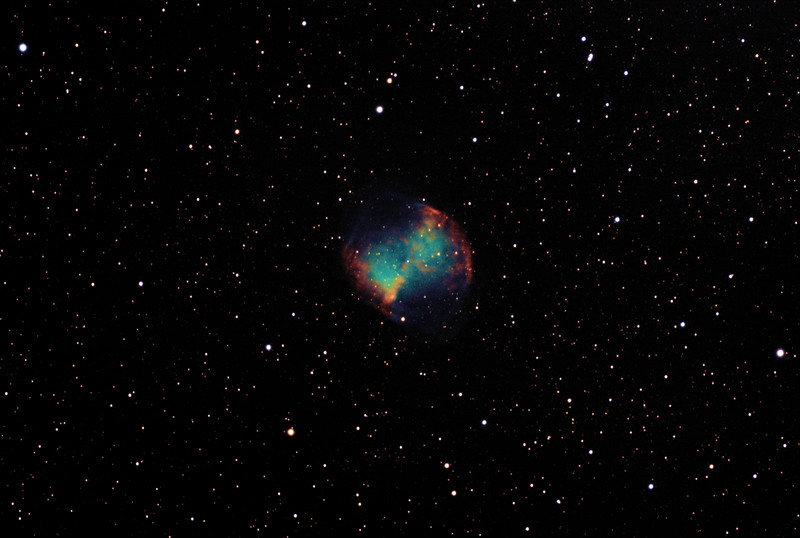 Finally got some good data on M27 after years of missed attempts. I collected this data from the back yard in Allen, TX. Camera was a Canon T2i with the IR cut filter removed and a custom white balance on a Celestron EdgeHD 8″ guided with a Meade DSI Pro in an Orion MiniGuider. 86 Subexposures of 90 seconds each. 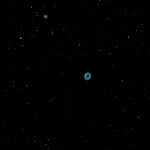 Posted in Commentary, Deep Sky, Images. While I was setting up last night I pointed at the moon to see what it looked like through the EdgeHD 8 on the T2i. 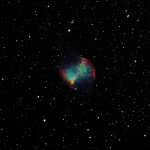 Backyard EOS has a planetary mode so I cranked that up and did a couple of quick series. Aligned and stacked with Registax this afternoon and this is the result of a two panel mosaic. I *WILL* be doing this again! 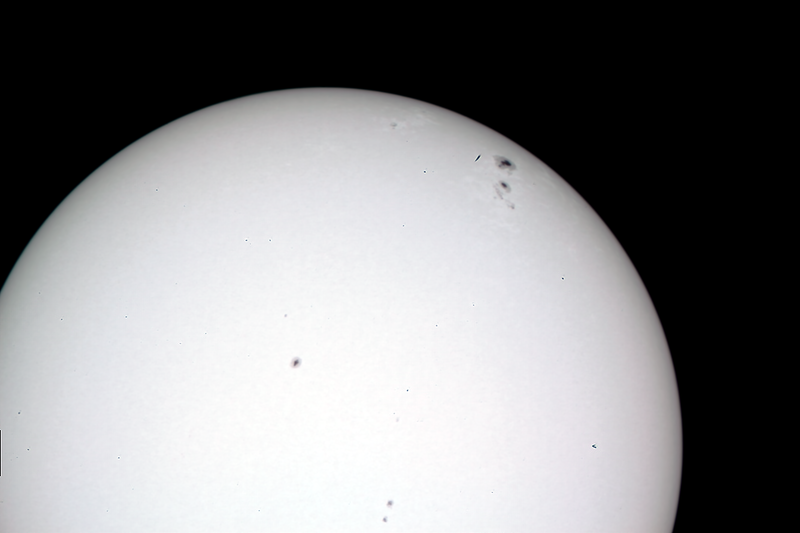 First solar image from home made white light filter. Two sets of 400 frames stacked in Registax and combined in Photoshop. Easy, breesey, lemon squeezey! Its the end of the calendar year and Orion is high in the sky at a reasonably early hour for urban astronomy. It clears the house around 9:00 so with sunset at 6:30 or so, you can have your high accuracy drift alignment completed by the time Orion is visible over the houses. 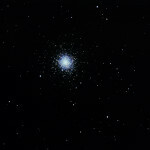 I took advantage of a very calm, very clear night and collected some 1,300 year old photons for your viewing pleasure. In the end there will be a total of approximately 180 frames in five different lengths. Five seconds, ten, 25, 45, and 60 seconds. Exposures longer than 60 seconds were completely washed out with wide, flat histograms which suggests large areas that are over exposed. It looks like each iteration of stacking will take about fourty-five minutes to an hour on my six-core computer so processing time will be a bit long on this one. Cursory inspection of the first few raw frames showed some significant dust motes so I won’t pretend to get Hubble quality images out of this but I’ll do the best I can. 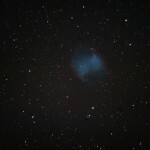 Messier 27 shot on September 22, 2013 from Allen, TX. 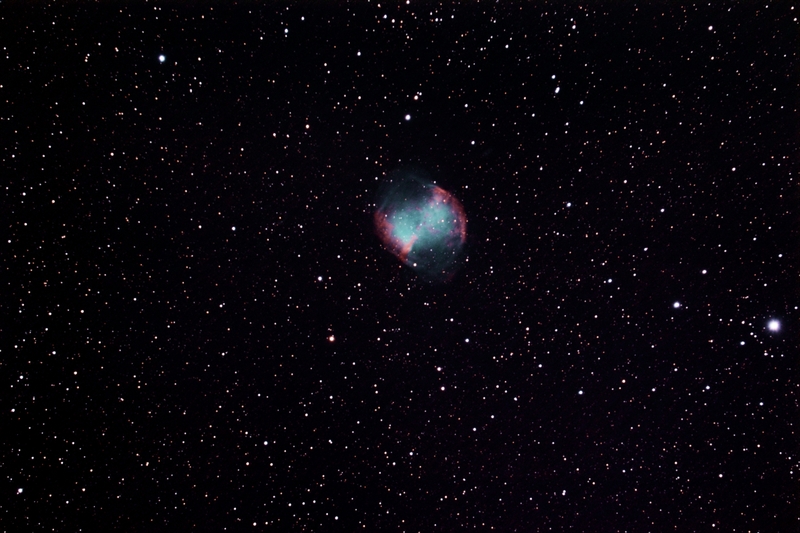 36 exposures of 60 seconds each through a Celestron EdgeHD 8 and collected by a modded Canon T2i (550D) DSLR. Messier 2 taken on 5 July 2013 from Copper Breaks State Park outside of Vernon, Texas. 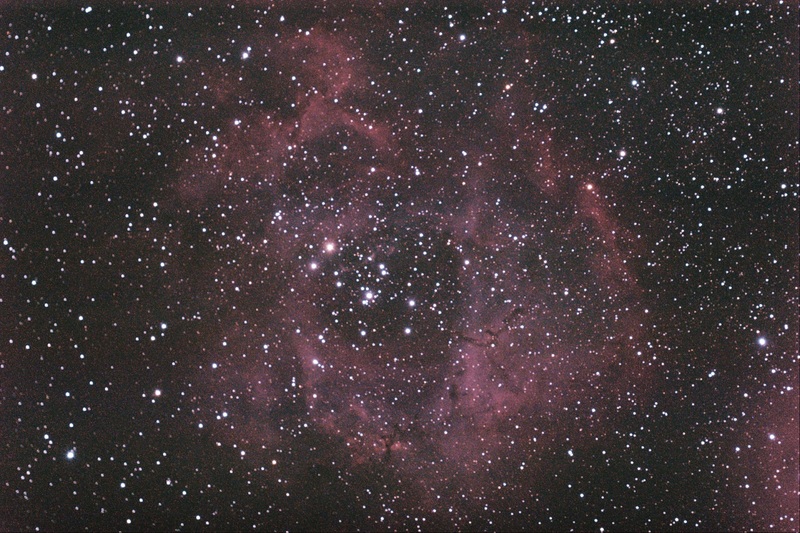 Shot with a Celestron Edge HD 8″ Schmidt-Cassegrain mounted on a Celestron Advanced VX. Messier 2 from Copper Breaks State Park outside of Vernon, TX. 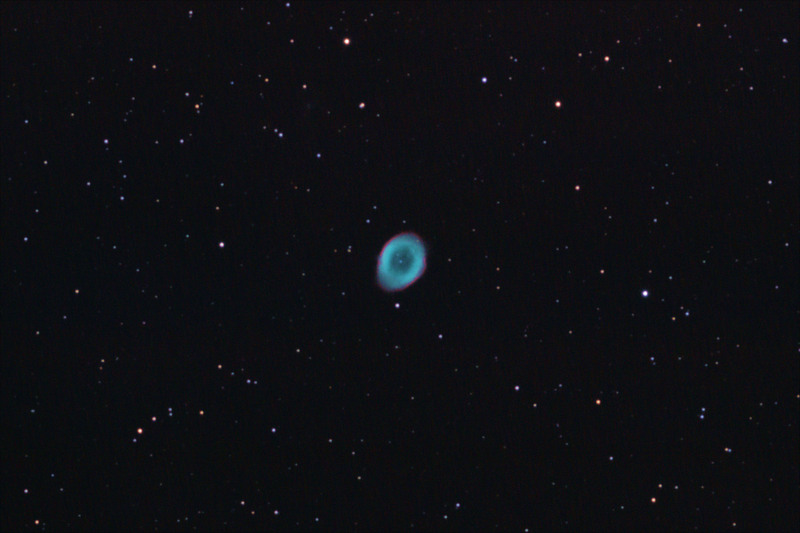 A quick stack of M57. Decided to shoot this after a PEC training session. 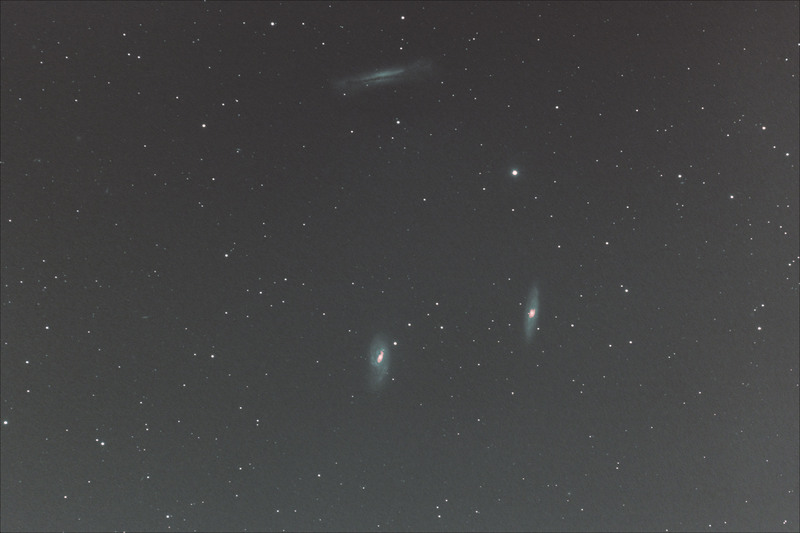 60 x 1 minute exposures, no flats yet. Celestron Advanced VX, Edge HD 8. 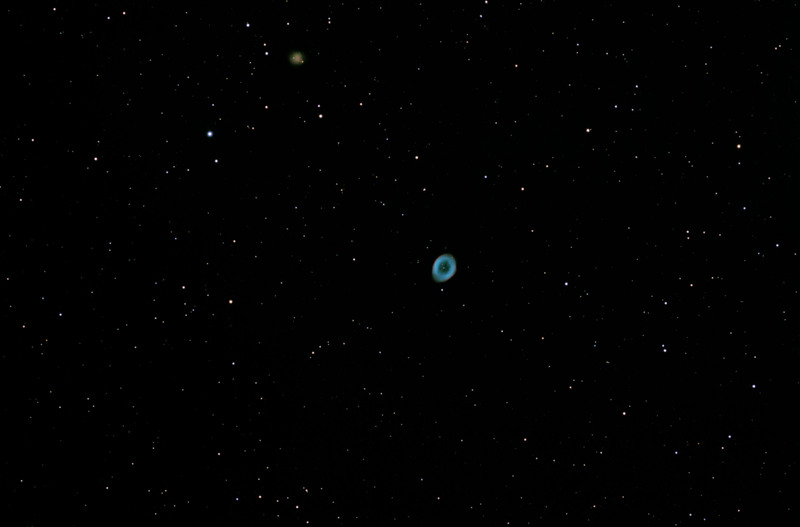 Canon 20D guided by a Meade DSI Pro in an Orion 50mm mini guidescope. No flats, no LPR filter (dang it!). Basically no processing. 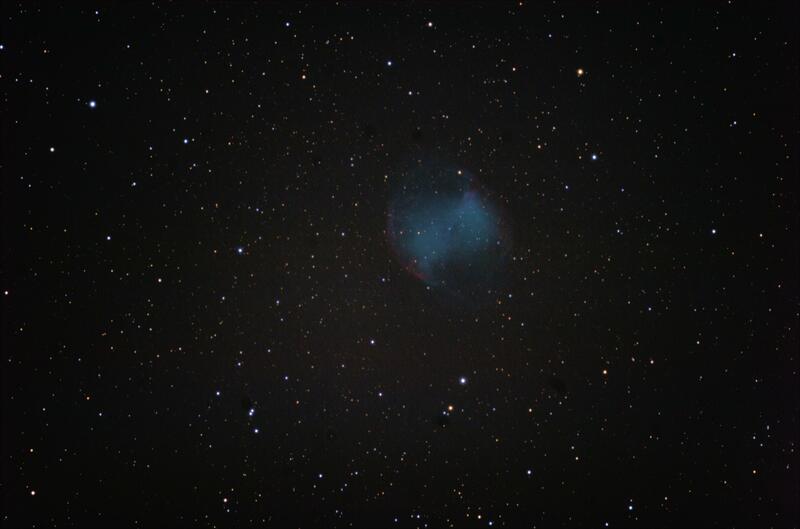 Messier 27, the Dumbbell Nebula, taken from suburban Dallas on a night with 80% – 90% humidity with the object in the light dome of a massive shopping complex just a mile away. Yes, you can practice astrophotography in the city! This image was built from 41 minutes worth of 60 second sub-exposures stacked one on top of the other with some other frames to subtract various forms of noise. 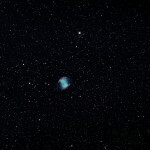 At an average estimated distance of 1,250 light years this planetary nebula is relatively close. Several thousand years ago the parent start ejected its coronal mass and collapsed into the white dwarf in the center of the nebula. This is the same fate our star will have some 6 billion years from now. 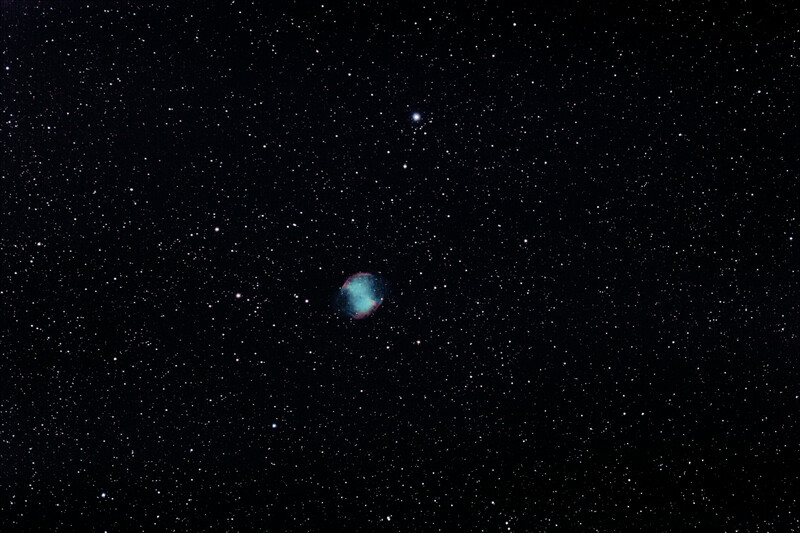 M27 has a visual brightness of magnitude 7.4 which makes it visible as a grey hourglass shape in small (80mm refractors, 114mm reflectors) telescopes at moderate magnifications. The central star itself does not emit very much visible light so what we’re seeing is gasses that are excited by infrared or x-ray radiation. Hydrogen Alpha glows red and doubly ionized Oxygen (O-III) glows green. These colors aren’t detectable by the human eye but through the magic of technology we can pull that color out. 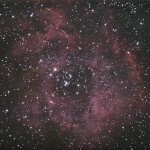 Caldwell 49, the Rosette Nebula, shot from Ft. Griffin State Historical Area near Albany, TX on March 14, 2013. Two hours of 5 minute subs. Leo Triplet, Feb 2, 2013 from Allen, Texas. 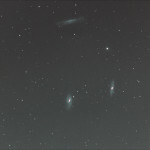 The Leo Triplet as seen from Allen, Texas on Feb 2, 2013. 30 subexposures of 5 minutes.